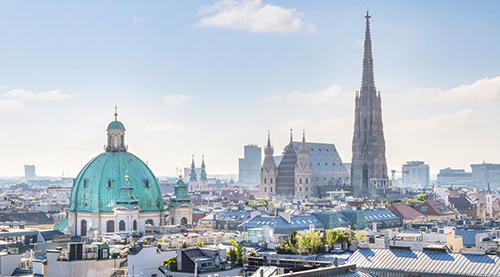 We would like to remind you to please register for the Vienna Arbitration Days 2019 to take place from 1 - 2 March 2019 in Vienna. Vienna Arbitration Days is the leading arbitration conference in Austria. Following our successful 2018 event we will again welcome participants from around the globe for two days of lively discussions on leading topics in international arbitration. Use this opportunity to be updated by renowned experts and to network, discuss problems and exchange ideas on possible solutions. The social program will include a gala dinner on Friday and a (dancing) visit to a Viennese ball on Saturday. The general topic of the VAD 2019 is „Sciences and Innovation in Arbitration”. Catherine A. Rogers has confirmed to hold the keynote speech. On Friday, there will be panels on the topics “Perception and Reality: Psychology in Arbitration”, “Mathematics and Economics in Arbitration”, and “Impact of Sciences on Arbitral Proceedings”. On Saturday, there will be the World Café discussing topics related to the general conference topic. Our Early Bird registration is now open until 01.02.19. For more information and registration, please visit the conference website. We would like to draw your attention to the fact that ArbAut is now also available on Linkedin. We would be very pleased if you would also follow us here.